Shelly Lawler, inspired by the light and life of her very own garden, has created a collection of women’s scarves, tote bags, luxury throws, beautiful pillows and wall art. She designs her collection from her photography images. 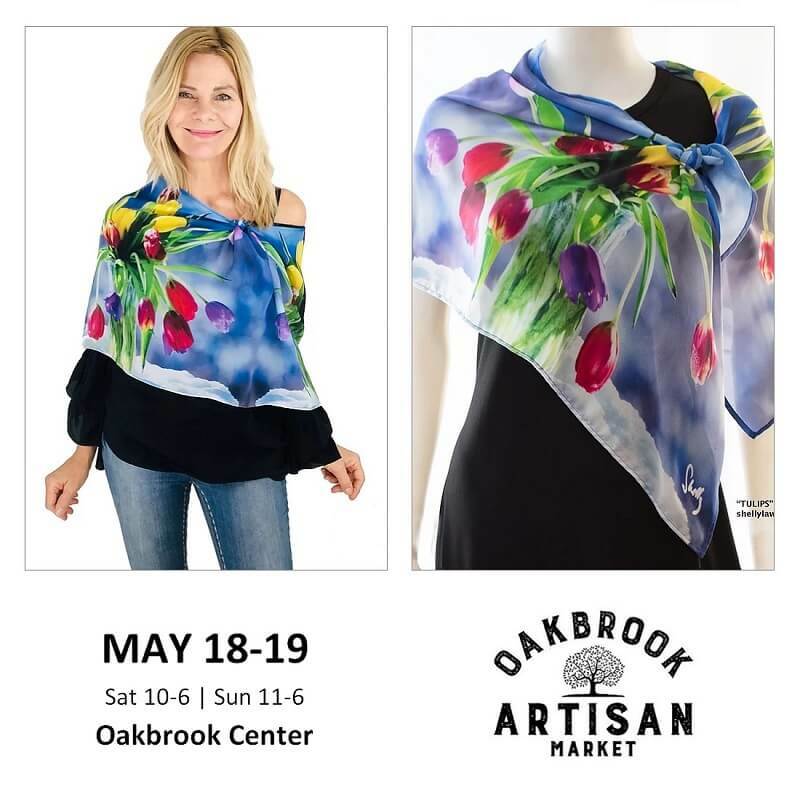 We are excited to welcome Shelly Lawler to the Oak Brook Artisan Market at Oakbrook Center on Sat & Sun, May 18-19, 2019. This 2-day outdoor market showcases the Midwest’s finest artisans in fashion, food, home goods + art. • Scarves – With one simple knot, it can drape off your shoulder, and with two knots, you have a beautiful shawl/cape that covers your arms. 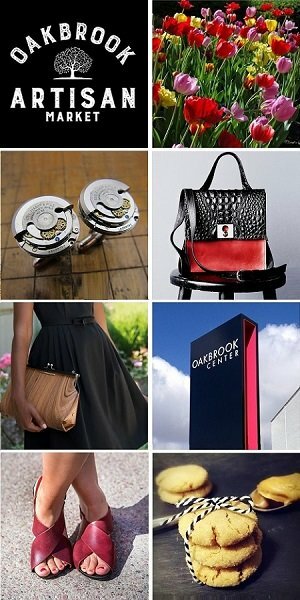 Versatile accessory, goes with many outfits, made in the USA. Shelly Lawler’s art hangs in homes, hospitals and places of business around the world. Her passion for discovering and promoting beauty is reflected in her original photography. After being handed a camera and given a brief overview by her husband, Hall of Fame Chicago Tribune Photographer Val Mazzenga, Shelly’s photography obsession took root. Her garden is her primary studio, which is the subject of her book In The Garden Collection. Shelly has always been drawn to the world of art. She is a gifted vocalist, has found considerable success on television, as a spokesperson for multinational companies, as a voice-over artist and published writer.